Practice based research is burgeoning in a number of professional areas. 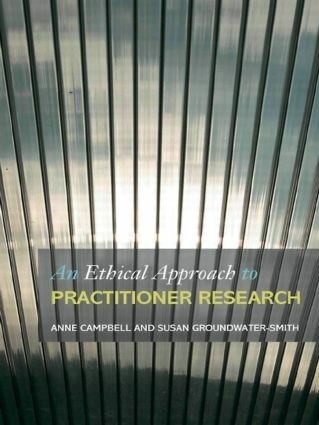 An Ethical Approach to Practitioner Research covers a comprehensive range of issues and dilemmas encountered in practitioner and action research contexts. While principally focused upon practitioner inquiry in education it takes account of, and acknowledges that others engaged in professional practice such as in legal, nursing and social care contexts, face similar issues and dilemmas. It aims to stimulate ethical thinking and practice in enquiry and research contexts. Drawing on the expertise of international researchers and academics from America, Australia and Europe, the book provides invaluable support to the novice researcher and illuminates some of the more intricate issues for the more experienced research practitioner.Packed with detailed and thought-provoking examples this book contains both theoretical analyses of ethical matters and offers practical advice to practitioner and action researchers across the fields of schools hospitals and community and family settings. Managing research ethics: A head-on collision? Professional values and research values: From dilemmas to diversity?